The islands are calling! 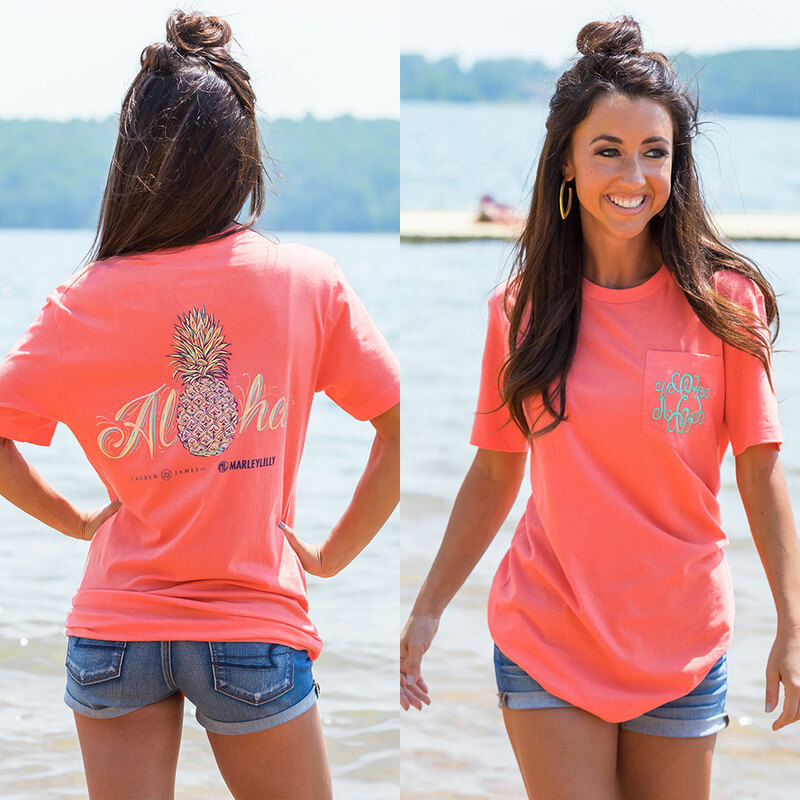 Say "Aloha" to summertime in this adorable "Aloha Pineapple" t-shirt! This coral color will look gorgeous with your sunkissed glow! Looks like this sailboat docked right in time for the Fourth of July! Sailboats and the American flag — it doesn't get much more American than that! 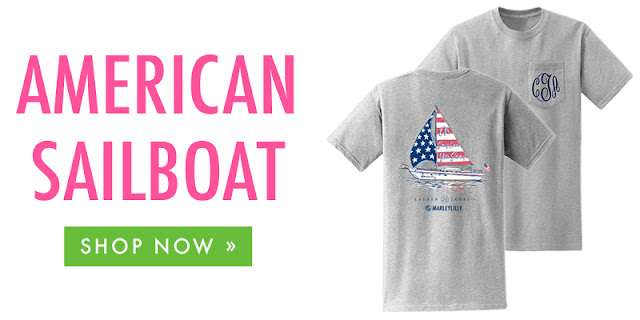 Show your patriotic pride in this "American Sailboat" design! The light heathered grey color is so flattering and will keep you cool all summer long! Front porch sittin' and sweet tea sippin' — it's a southern thing, y'all! 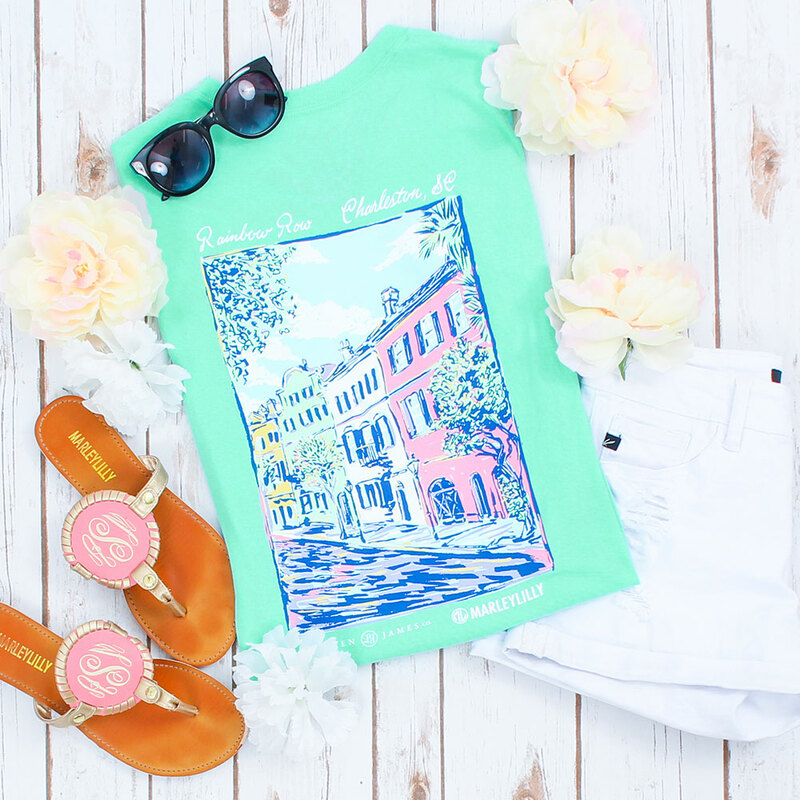 Show off your inner Southern Belle with this charming "Rainbow Row" t-shirt design. 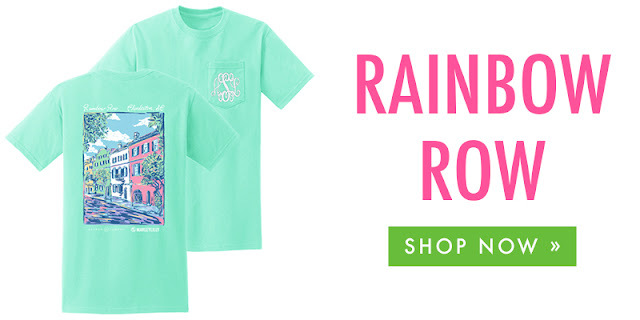 The pastel colors and monogrammed pocket were simply "mint" to be! 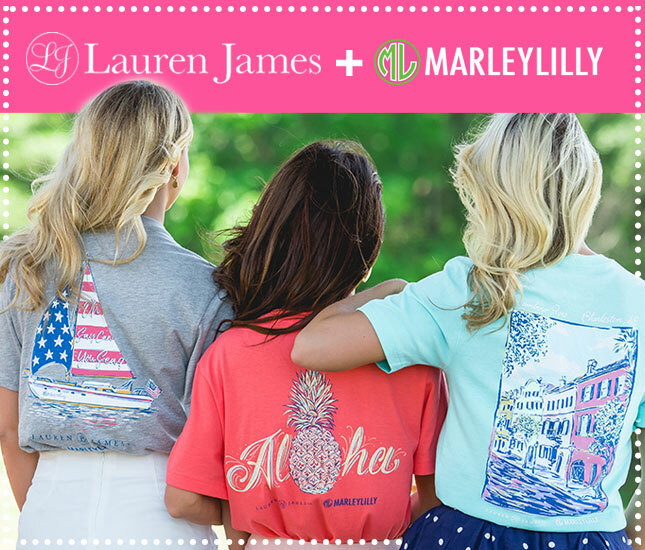 We are so excited for this Marleylilly + Lauren James collaboration and hope you are, too! Which t-shirt design will you be repping this summer? Shop this unique link to select your favorite design! Two of my favorite brands teaming up?! What a dream!! 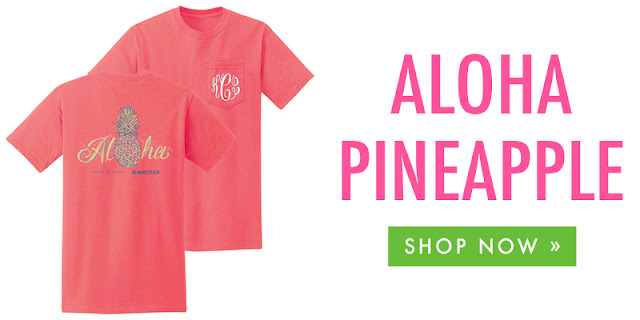 These tees are so cute!